Seoul Subway Line 1 was the first metro line introduced in Korea. 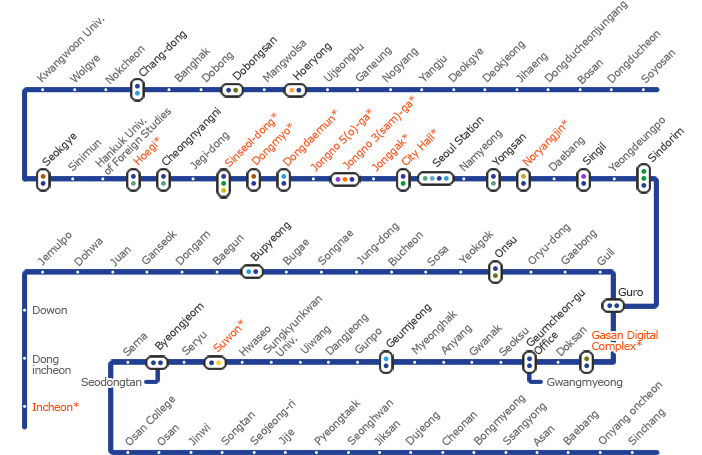 Beginning with a route from Dobong-gu, Seoul to Incheon, the line has now expanded to Uijeongbu and Dong-Ducheon in the north as well as Suwon and Cheonan in the south. 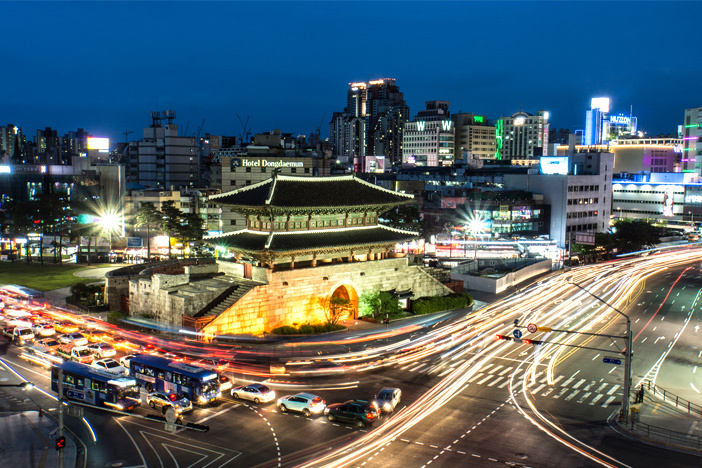 Not only does the route itself have a long history, the line also passes through downtown Seoul and many traditional monuments. From flea markets to wholesale fish markets and outlets to department stores, travelers can satisfy a variety of shopping needs on this line. In addition, Seoul Subway Line 1 is connected to several parts of the Seoul metropolitan area, making traveling outside of the city not only possible, but easy as well! 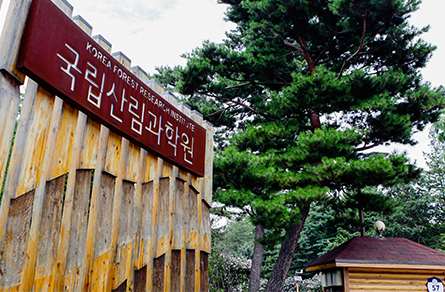 Located 1.45-km west of Hoegi Station is the nation’s first arboretum - Hongneung Arboretum. 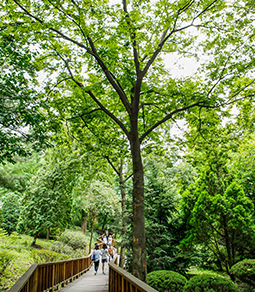 Built on the Hongneung burial site, the royal tomb of Queen Myeongseong, the garden boasts plants from both home and abroad, and is a representative forest located in the heart of Seoul. The arboretum serves as a research center during the weekdays, managed by the Korea Forest Research Institute, but it is open on the weekends to the public for free. Seoul Folk Flea Market first originated from the flea market in Hwanghak-dong, where many street shops and vendors gathered around Cheonggyecheon Stream. It was moved to Dongdaemun History and Culture Park (formerly Dongdaemun Station) while Cheonggyecheon Stream was undergoing renovations, and was later restored and modernized to its current state. The first floor mainly offers antique tools, electronics, and household items, while leisure sports items and regional specialties can be found on the second level. 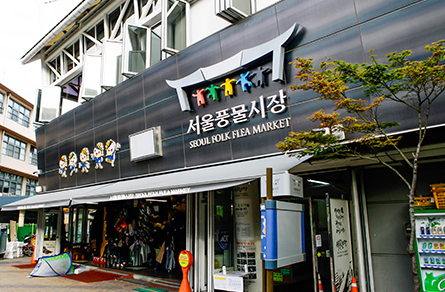 Known as the outdoor version of Seoul Folk Flea Market, Dongmyo Flea Market gained popularity among the younger generation thanks to singer G-Dragon, who visited here during filming of the popular Korean variety show "Infinite Challenge." Tourists can also get a taste of a unique shopping experience at a relatively low cost. 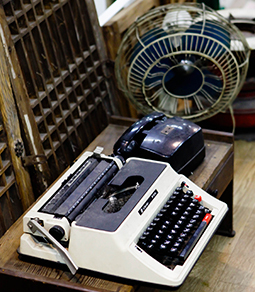 With just 10,000 won, you can buy interesting secondhand items including books, snacks and other vintage items. Designated Treasure No. 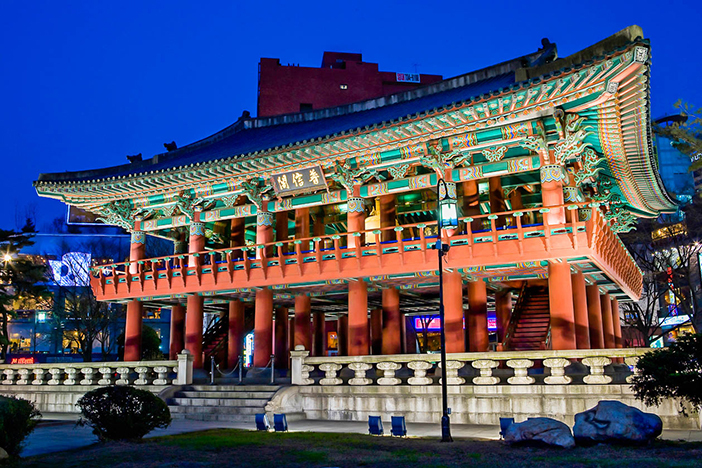 1, Heunginjimun Gate is the easternmost gate of the eight gates in Seoul and was built in 1398 and rebuilt in 1869. 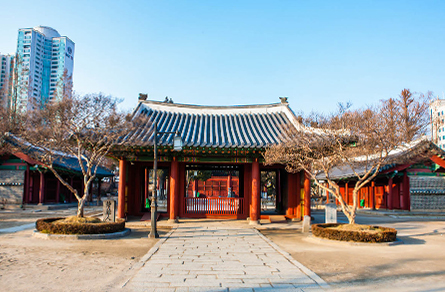 The two-story building with an arched stone gate at its center displays architecture from the late Joseon Dynasty. One of the special features of this gate is the presence of ongseong (small walls that protect the gate), a characteristic not found in other gates of Seoul. 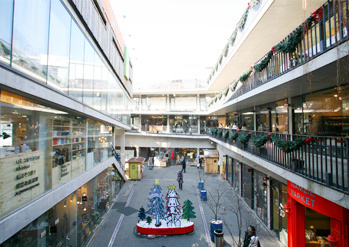 The Dongdaemun Fashion Town consists of both wholesale and retail markets. 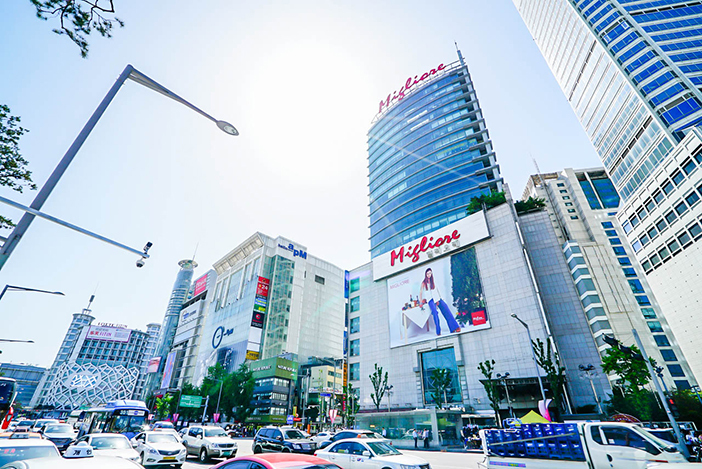 From Pyeonghwa Market and a variety of shopping complexes to Dongdaemun Design Plaza (DDP), this is an area with a wide assortment of shopping options. The greatest perk of this area is the fashion boutiques of young and avant-garde high-end fashion designers. Gorgeous lighting at night and a wealth of cultural events add to the fun of shopping, gaining its reputation as Seoul’s representative midnight shopping attraction. 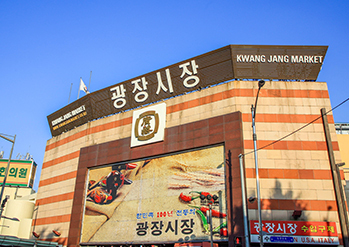 Formed in 1905, Gwangjang Market is Korea’s oldest market established by private retailers. 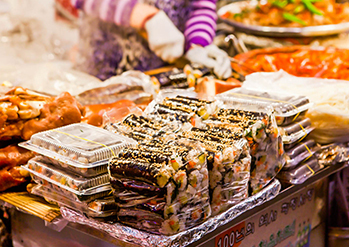 Imported goods can mostly be found on the second and third floors while bindaetteok (mung bean pancake), gimbap, yukhoe (beef tartare) and many other delicious street foods are notably found in the first level of the market. 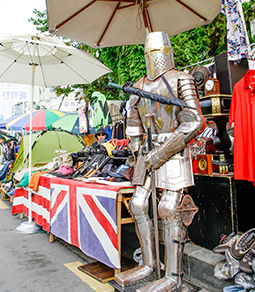 Although it is a traditional market, Gwangjang Market is one of the most popular attractions in the Jongno area among the local youth and international tourists. 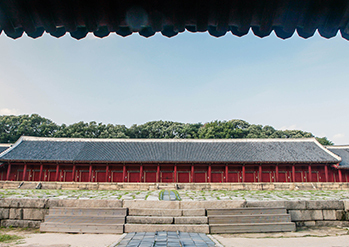 The primary place of worship throughout the Joseon Dynasty and where the ancestral tablets of Joseon's kings and queens are kept, Jongmyo Shrine is Seoul’s representative UNESCO World Heritage. In particular, Jongmyodaeje (Royal Ancestral Memorial Rite of Joseon) ceremony, a UNESCO designated Intangible Cultural Heritage of Humanity, is held at Jongmyo Shrine every May. International visitors can make an online reservation for commentary guides in English, Chinese and Japanese. 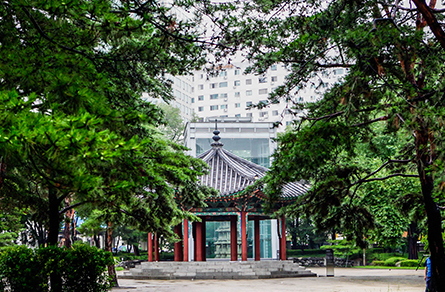 Emblemized as the first modern park to be built in Seoul, Tapgol Park was constructed in 1897 at the former site of Wongaksa Temple. Previously known as Pagoda Park and renamed Tapgol Park in 1992, the park is of great historical value and national spirit as it was the starting point of the Independence Protest on March 1, 1919. 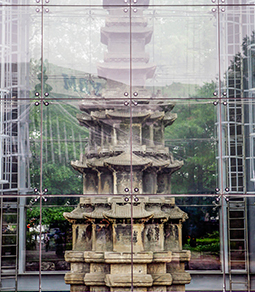 Another attraction of the park is the 12-m high Ten-story Stone Pagoda of Wongaksa Temple (National Treasure No. 2), built in 1465. 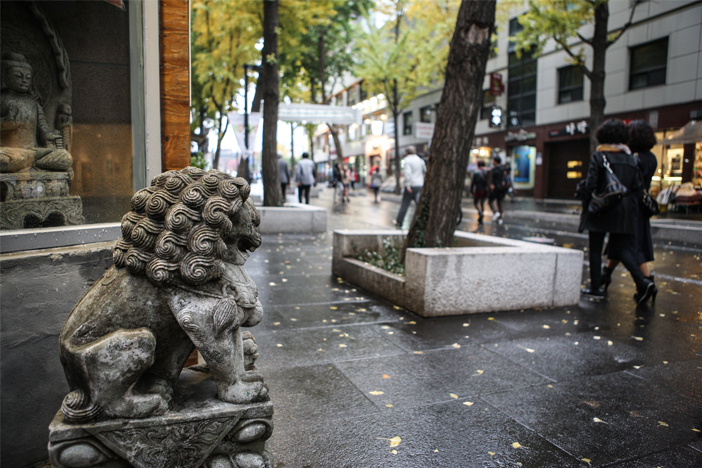 One of Seoul’s representative tourist attractions is none other than the traditional streets of Insa-dong. Many shops selling books, antiques and traditional products can be found here. 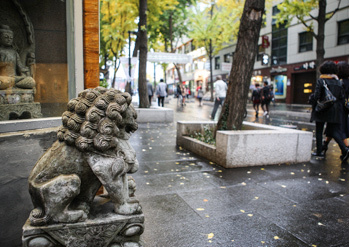 Visitors can also experience traditional art culture as several art galleries and museums renovated from hanok (traditional Korean house) can be found as well as the popular art street, Ssamzie-gil Road. Another attraction not to be missed at Insa-dong is the variety of delicious foods sold at traditional restaurants and street vendors. Cheonggyecheon Stream stretches a total of 10.84 km from Jongno-gu to Jung-gu, and has been at the center of Seoul citizens' lives for a long time. 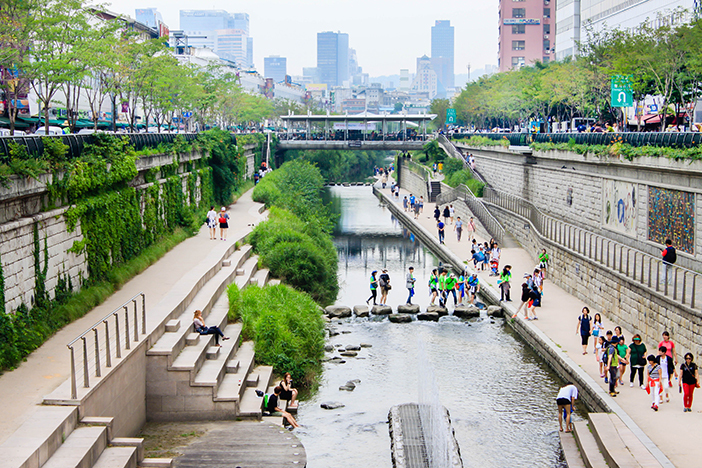 The Cheonggyecheon Stream Restoration Project took place in 2005, and transformed the former neglected waterway into a haven of natural beauty amidst the bustle of city life. Plaques found here provide detailed commentaries on the 22 bridges that span the stream, as well as a number of graceful fountains that add to the ambience of the area. Bosingak Belfry was used during the Joseon Dynasty to keep the time. Since 1985, a special ceremony is held at Bosingak Belfry every New Year's Eve where the bell is rung 33 times in front of large crowds. Bosingak Bell-Ringing Ceremony program is available on Tuesdays at 11:40 for visitors who wish to experience bell ringing. 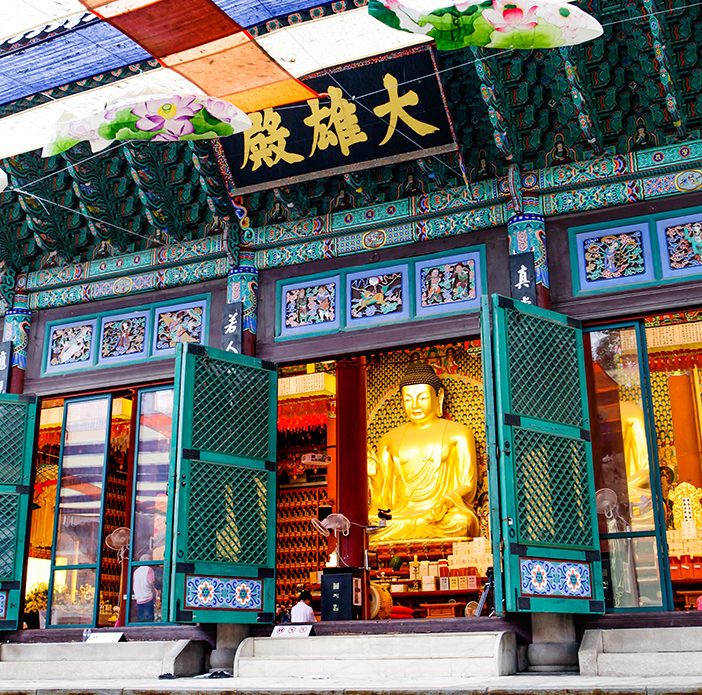 First established under the name of Gakhwangsa Temple in 1910, Jogyesa Temple played a great role in spreading modern Korean Buddhism and has now become the center of Korean Buddhism. Lacebark pine and other tall trees about 400-500 years old decorate the yards of the main temple building, Daeungjeon Hall, where it houses a Buddha Triad. 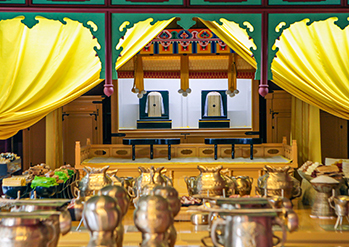 A templestay program is available and visitors who are interested in Korean Buddhism may find out more at the Memorial Museum of History and Culture of Korean Buddhism, found within the temple grounds as well. Jeongdong-gil Road is a representative cultural street in Seoul. Conveniently located at the center of the street is the Seoul Museum of Art (SeMA), a Korean modern art museum where visitors can appreciate the combination of modern architecture and art. Formerly the Supreme Court building, SeMA moved into the location in 2002. 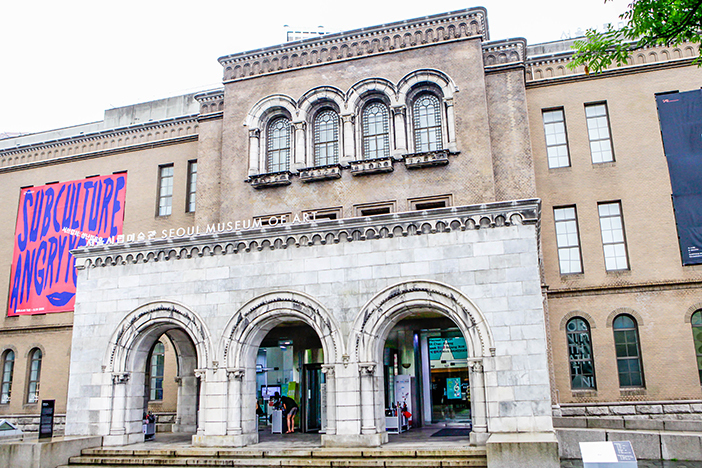 The old façade was preserved, while the building was renovated into a three-story building with six exhibition halls, a lecture hall for educational programs, and a library where a collection of 3,500 pieces of art by famous artists. An outdoor sculpture garden is also available, serving as a good promenade for a pleasant stroll. Originally called Gyeongungung Palace, Deoksugung Palace is one of the five royal palaces from the Joseon Dynasty. Visitors can experience can get a glimpse of the royal culture by observing Deoksugung Palace Royal Guard-Changing Ceremony held at in front of Daehanmun Gatem, a tradition similar to the Changing of the Guards at Buckingham Palace. With prior reservations, visitors can participate in the royal guard-changing ceremony as well. 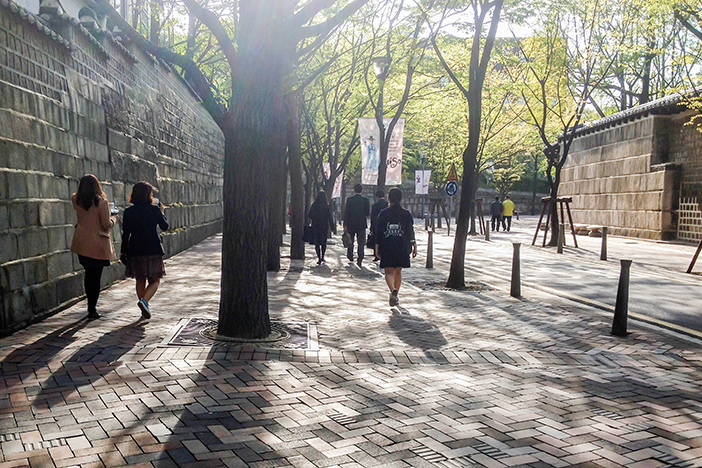 The stone-wall road along Deoksugung Palace leading to Jeongdong Theater from Daehanmun Gate is also known as one of Seoul’s representative walking trails. The site is particularly beautiful during the peak fall foliage, and is a top filming location for Korean dramas. Opened in 1995, Jeongdong Theater is historically significant in that it represents the restored Wongaksa, the first modern theater in Korea. 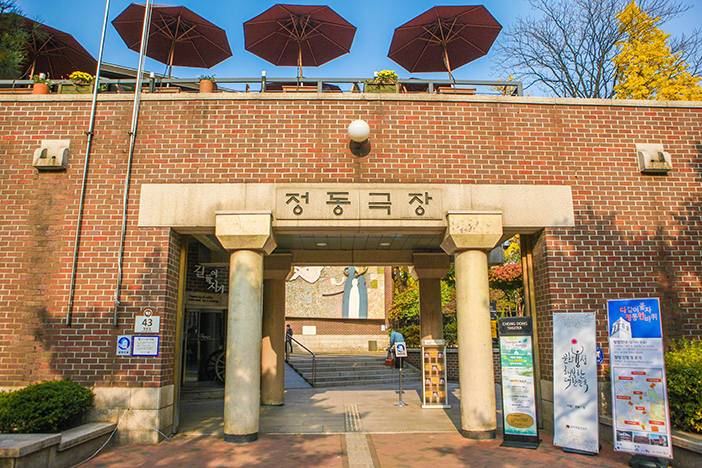 Famous performances include pansori, followed by a series of traditional musicals created by Jeongdong Theater. Several performances provide subtitles in English, Chinese and Japanese. Seoul Plaza, located in front of Seoul City Hall, is a place loved by both local residents and international tourists. It is also where tens of thousands of Korean soccer fans gathered to cheer during the 2002 FIFA World Cup Games. 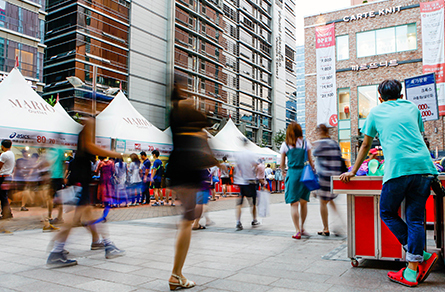 Seoul Plaza is used as a venue for various events and cultural festivals. During winter, it transforms into the outdoors Seoul Plaza Ice Skating Rink. 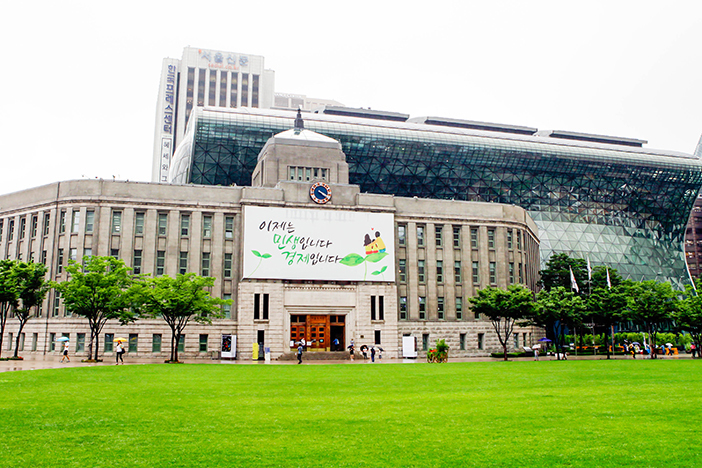 Visitors can also easily access Seoul Metropolitan Library and the Seoul Citizens Hall from the plaza. 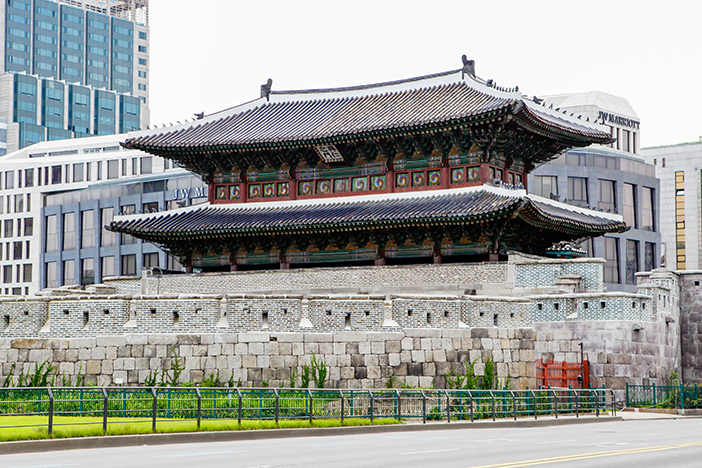 Also referred to as Namdaemun Gate, Sungnyemun Gate is designated as National Treasure No. 1. It is the longest-standing stone structure in the city, and boasts a beauty achieved by balance and moderation. In 2008, Sungnyemun Gate was destroyed by fire and its reconstruction was completed in 2010. A plaza is built around the Sungnyemun Gate where visitors can get a close feel of the gate’s majesty. If you want to smell the sea in downtown Seoul, pay a visit to Noryangjin. 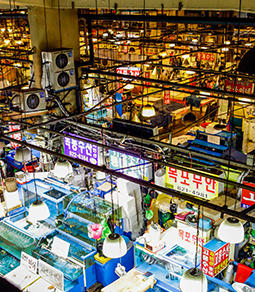 With a wide variety of marine products available, the Noryangjin Fisheries Wholesale Market is one of the largest seafood markets in Korea. Visitors can freely look around as well as shop and try fresh seafood. 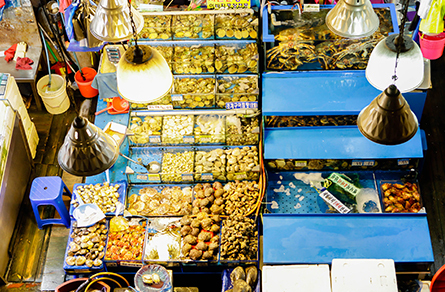 Visitors can also take their purchased seafood to one of the restaurants inside the market to have the ingredients cooked and served at a reasonable price. Open all year round, the market offers an authentic marketplace feel with bustling patrons every day. 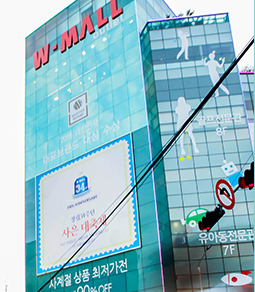 Gasan Digital Complex is the name given to the industrial complex near the old Garibong-dong neighborhood. However, the area is popular as a shopping haven rather than an industrial complex among the youth. Recently, mega outlets in the area have created a fashion district, luring in young people from all over the country. Above all, visitors will find many brand shop products sold at a 50% to 80% sale price, making the area even more attractive and worth a visit. Hwaseong Fortress, constructed in 1796, is an impressive and representative structure of the Joseon Dynasty. 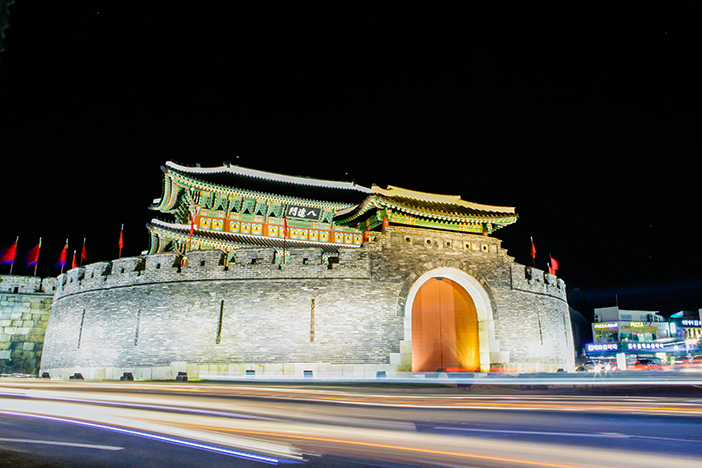 The fortress wall that stretches over a total distance of 5.7 km is designated as a UNESCO World Heritage Site. 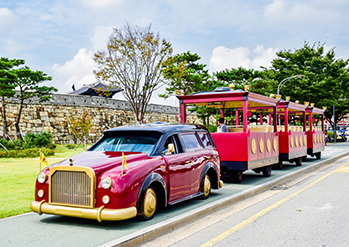 The Hwaseong Fortress Tourist Trolley allows tourists to travel from Yeonmudae Post to Paldalsan Mountain, Hwaseong Haenggung, Nammun Market, Suwon Hwaseong Museum, and then back to Yeonmudae Post. In spring, royal azaleas bloom along the walkway between Changnyongmun Gate and Paldalmun Gate. In addition, the Suwon Hwaseong Cultural Festival is held every October here. Paldalmun Gate is the southern gate of Hwaseong Fortress. A semi-circular wall called ongseong is built on the gate’s exterior. 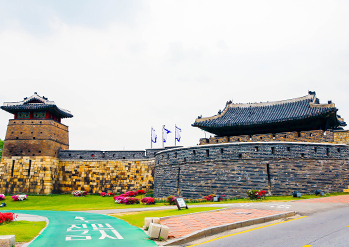 Unlike most of the onseong built during that time, Hwaseong Fortress’ ongseong has its entrance at the center rather than at the wall’s corner end. Paldalmun Gate was able to survive the Korean War with minimal damage, preserving its original condition. Incheon Chinatown was formed with the opening of the Incheon Port in 1883, followed by settlement of Chinese immigrants. Known to be the home of jajangmyeon (black soy bean noodles), the streets are lined with top-quality Chinese restaurants. The Samgukji Mural Street, depicting scenes from China’s Three Kingdoms, and Jajangmyeon Museum, a special museum renovated from a Chinese restaurant built in 1908, are significant attractions found within the area. 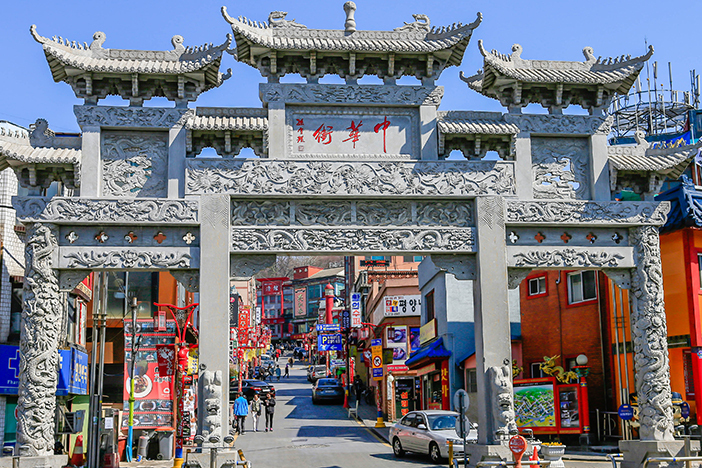 If time allows, drop by the Historical & Cultural Town located in the vicinity to learn more about the history and culture of Incheon Chinatown. Wolmi Traditional Park, cruises, culture streets, cafes, restaurants and great sea views make Wolmido Island the perfect place for a pleasant walk or a retreat from the city. It also has popular amusement parks such as Wolmi Theme Park and My Land. 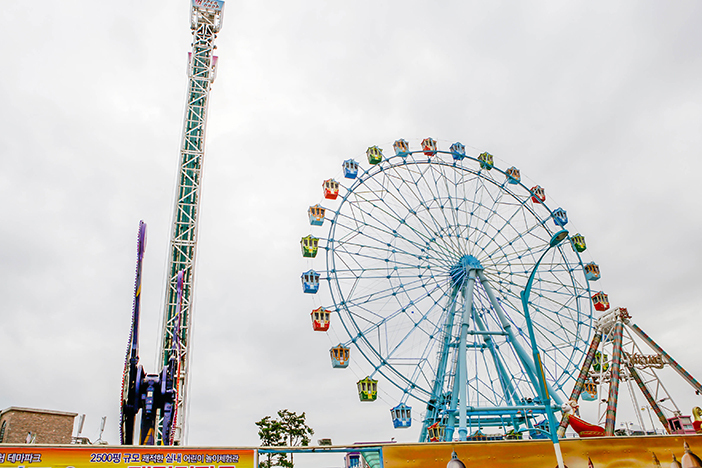 In particular, Wolmi Theme Park offers various exciting rides, such as the 70-m high Hyper Shoot Drop, Tagada Disco, a 115-m high Moon Eye Ferris wheel, and many others. This page was last updated on August 27, 2018, and therefore information may differ from what is presented here.